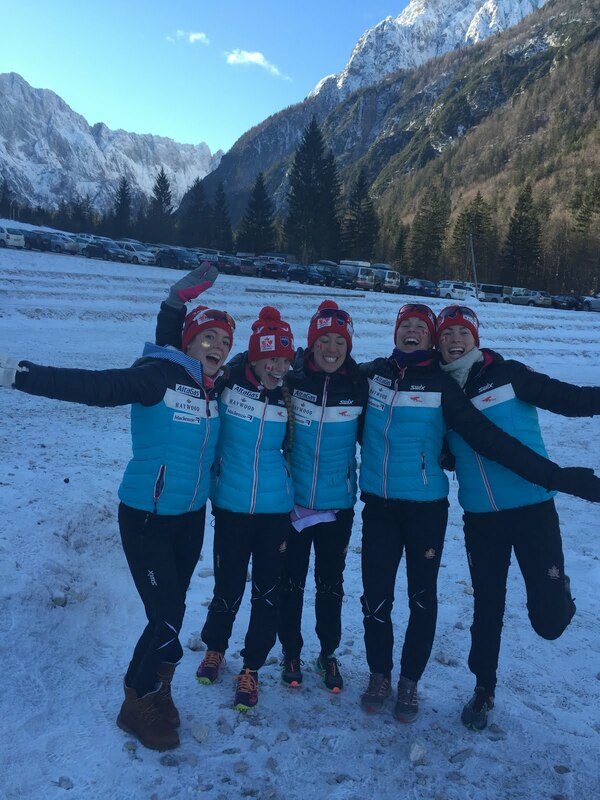 Europe Race Journal Part II: My Best World Cup Result Ever! 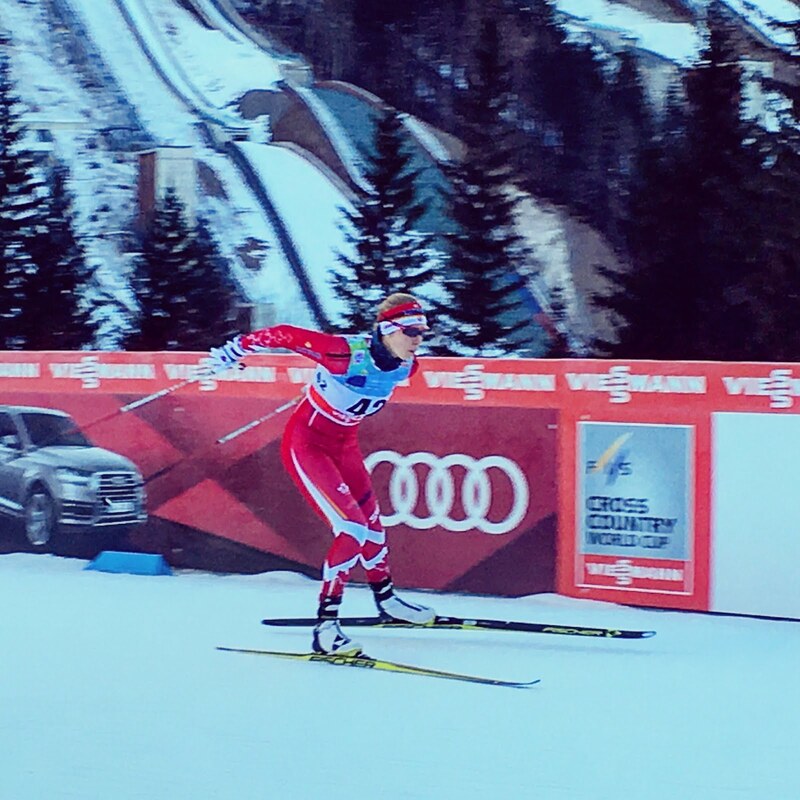 These past two weeks weren’t technically my first World Cup races, but they were the first ones where I really felt I could compete, not just participate. Over the past two weekends I races two individual and two team World Cup races, a mixed bag of highs and lows, feeling fast and slow. Although I was far from the top and even in a couple races pretty close to the bottom, the feeling I am leaving Europe with is one of excitement and hope. I even had a race where I felt like I belonged, that I could compete for a respectable position among the very best in the world. 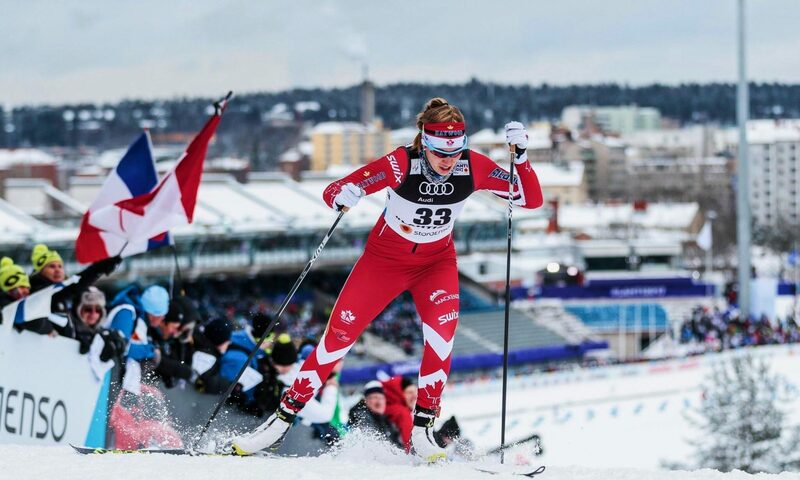 Leaving Europe now after a month of European Continental Cup and World Cup racing, my excitement to represent Canada this March in the Ski Tour Canada is finally sinking in. My list of things I need to work on before then is longer than ever. One of the best things about racing against the World’s best, is the opportunity to learn how they ski and feel the speed they carry over the course. Of my four World Cup races the first one was the best. I was really nervous the night before but once I got to the race site on race day I was able to just focus on the process and warm up to the best of my ability. Going into the race I was hoping to feel good but I didn’t know what that would give me results wise. Therefore instead of thinking about the end result I focused on how I could race the course better than I had the week before in the Continental Cup race. And I did that! 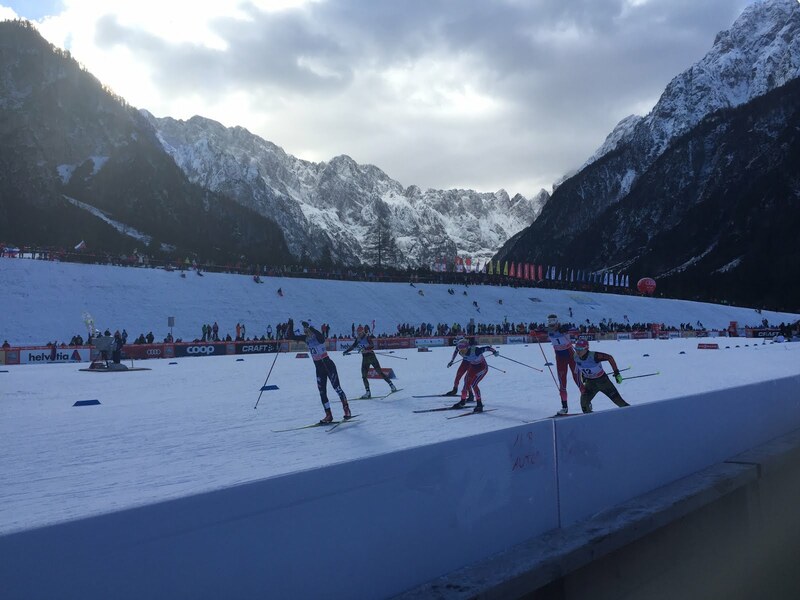 I crossed the finish line knowing my race wasn’t perfect but very happy with how I skied. It took a minute before I saw the results and when I saw 31stup on the screen I was a bit shocked, very excited and also a bit disappointed. The top 30 moves on to the heats and I had just missed out on that. A couple minutes later my teammate Maya crossed the line in 31st bumping me down to 32nd and that’s where I stayed, 32nd place. Although Maya and came up less than 1 second short of moving onto the heats, it was a pretty amazing day for us both. 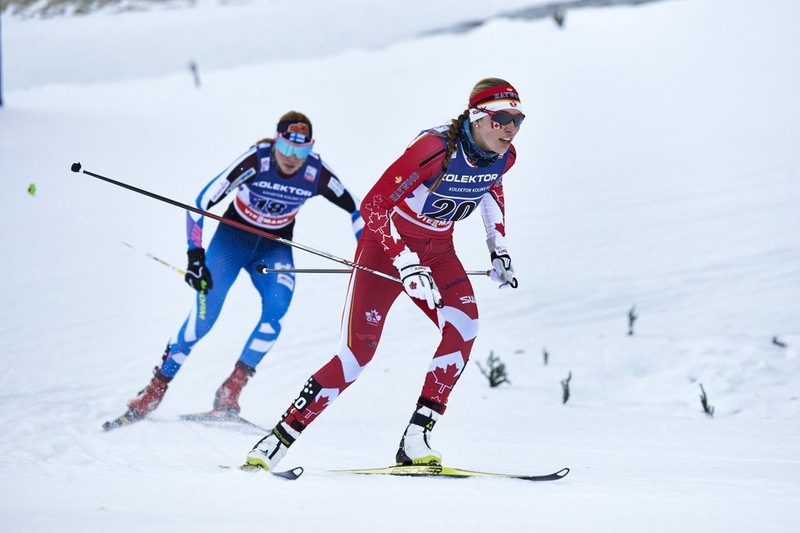 Our results from that race are the top two Canadian women’s results on the World Cup this season. The following day Maya and I teamed up for the Team Sprint where we finished 19th. 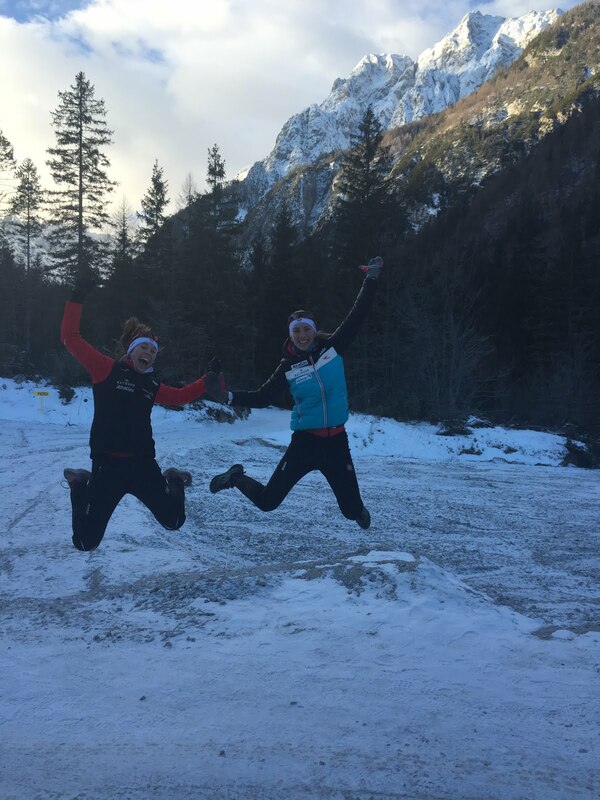 Overall the first weekend of World Cup racing in Planica, Slovenia was a very positive experience for me. Watching the women’s final, taking notes on how to be the best! Chris, myself and Knute watching the heats- Alberta World Cup Academy well represented. 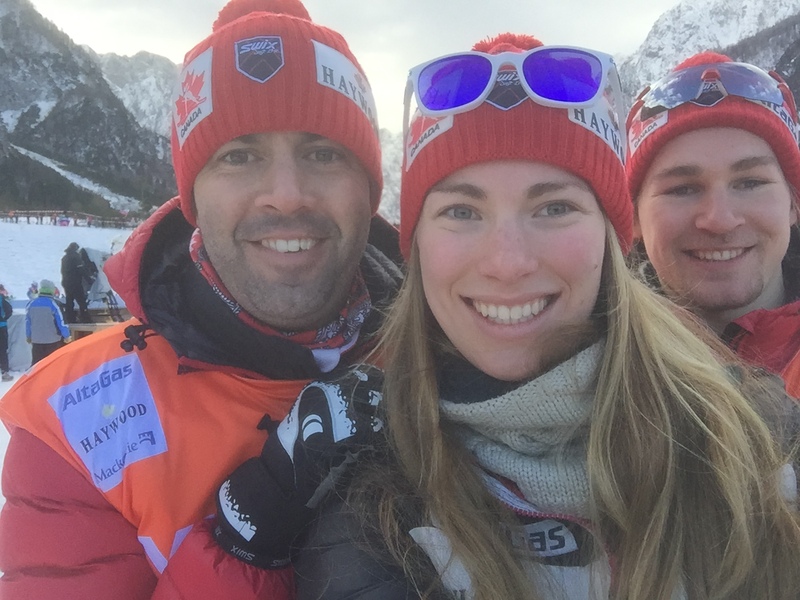 Between the two World Cup weekends the team went to Ramsau, Austria to train. We were welcomed by lots of fresh snow and endless kilometers of skiing, something that has been quite rare in Europe so far this season thus was kindly welcomed. I had two amazing days of skiing! Unfortunately I woke up Wednesday morning not feeling 100% so I took the day off, a couple of the other ladies also woke up with a cold. I had very minor cold symptoms but mostly my body was just feeling really tired and not the “good: I raced hard” tired, the “I’m fighting something” tired. 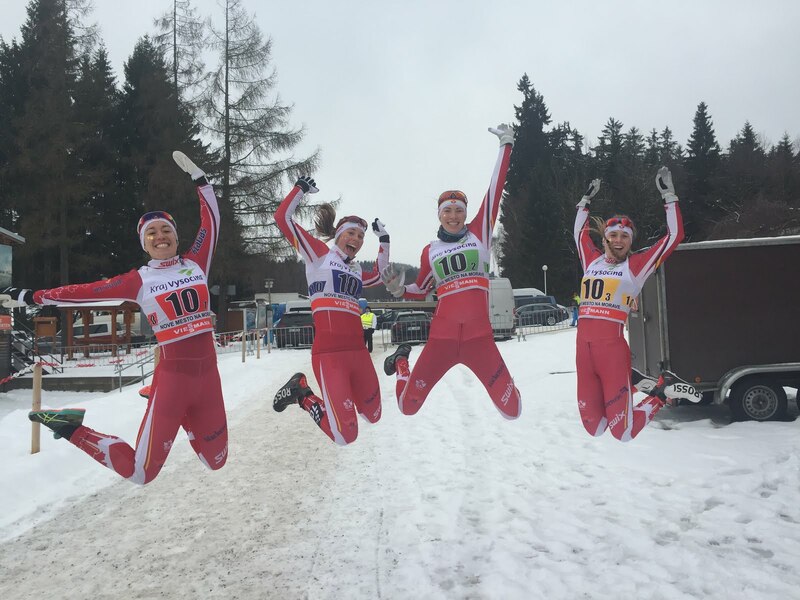 By Friday the cold symptoms were going away and I prepared myself to race the weekend of World Cups in Nove Mesto, Czech Republic. The 10km Skate was such a hard race. Not being totally healthy, neither the 10km skate nor the relay was my best racing. 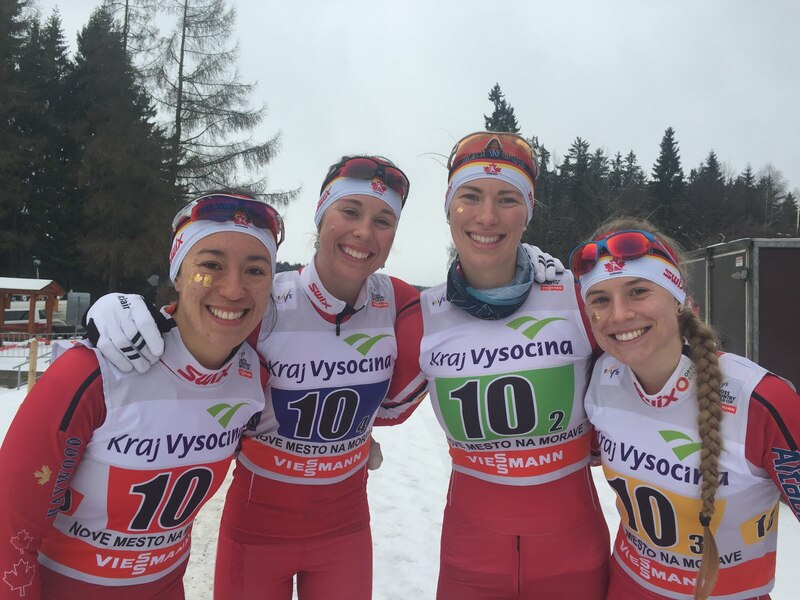 However, it was still wonderful to be a part of the first women’s relay team on the World Cup in 8 years. I am looking forward to many more relays in full heath and improving on our 12th place result. 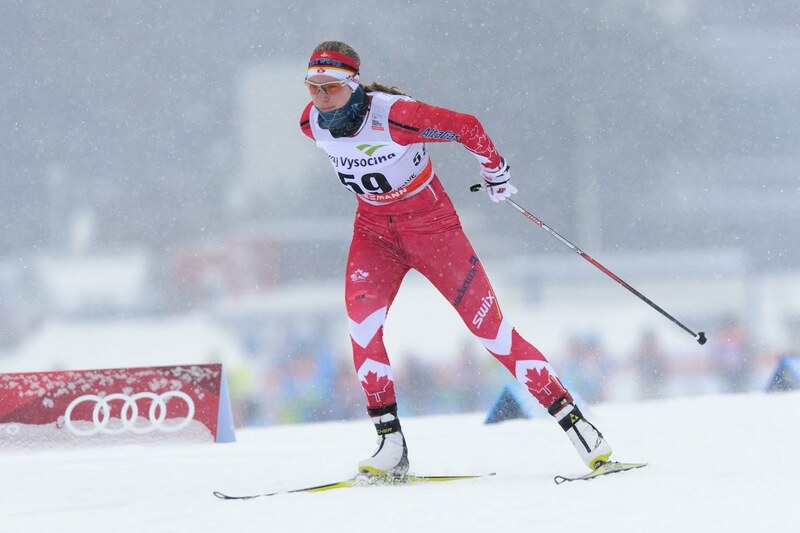 Now that I am back in Canada I am looking forward to and preparing for the World Cup races here in March. In the meantime I will be racing at the Eastern Canadian Championships Feb. 5,6,7th and the Western Canadian Championships Feb. 18, 20, 21st. Most exciting of all I get to see my little sister at Eastern’s who I haven’t seen since August! Can’t wait to see you Dess!! 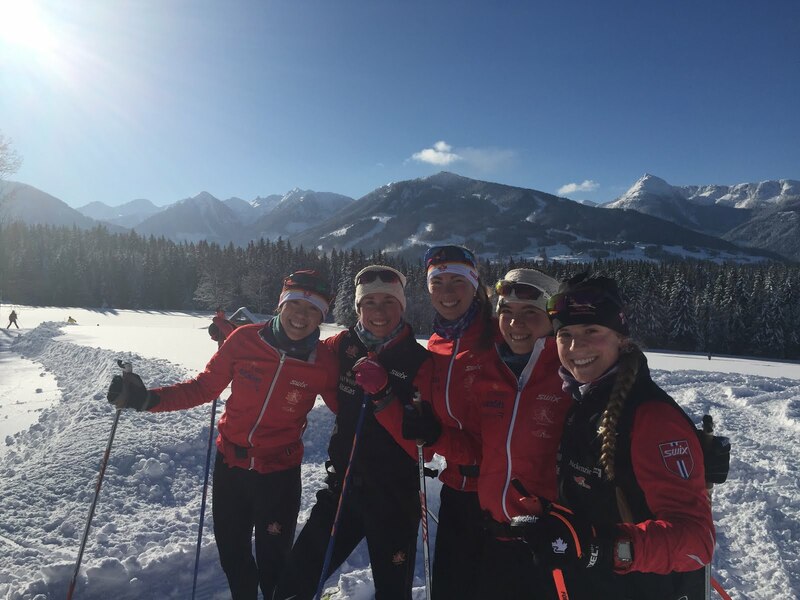 The Ski Tour Canada starts March 1st and it will be another opportunity to gain more experience and confidence on the World Cup. I would like to thank all of the staff and coaches for the amazing skis and support all trip and my sponsors and family for your love and encouragement. We came awfully close to scoring those coveted World Cup points and with a little more work we will be there! Thanks for reading, I hope to see many of you on the ski trails somewhere this season! !